Human is prone to commit errors and one cannot avoid this deed by any way. But, we can always reform the things that have been destroyed by us in any means. Some relevant images that have deleted or lost from us can make us frowned and in dire disappointment. 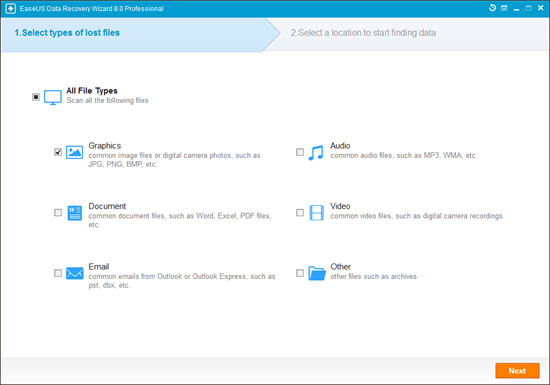 To recover deleted photos, there have been solutions available now that can make you acquire your pictures back. Not only the pictures but, various others files can be even recovered now with the help of reliable software available. The pictures really contain some memories and sometimes the relevant information for your work that are mandatory for you to complete your work. In this hassle, you can make yourself worry free with the aid of Ease US Data Recovery Software that is equipped with the most efficient recovery tool that will get you all your lost or deleted photographs without much efforts and time. Unless and until the storage memory device from which you want to recover the data is not physically damaged, you can surely acquire the data back. Firstly, the user requires installing the Ease US Data Recovery Wizard and moving to the Graphics option. 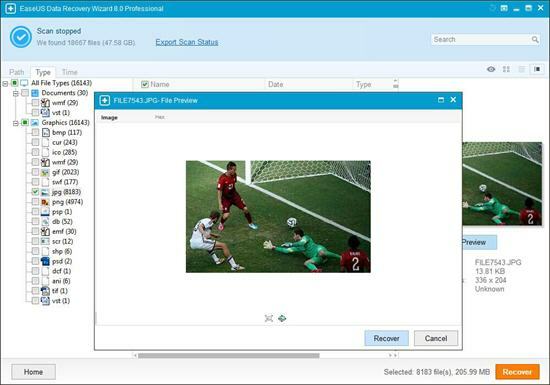 Click on ‘Next’ button to start your picture recovery wizard. Further, the user needs to click on the desired drive, where the data was being lost. After scanning the respective drive, the ‘Scan’ process will recover all the data and pictures that have been lost by the user. If the user has lost the partition in which the files were being placed, then you need to select ‘Lost Disk Drives’ and then ‘Scan’ to continue the process of recovery of data files. With the completion of scan process, all the pictures that were being lost or deleted will appear on the screen and user can view them one by one and restore the ones that are required. To avoid overwriting of data, one must save all the recovered data on a single drive and folder only. These types of files can not only be recovered from the PC but, also from any kind of memory cards, hard drives, digital camera and various other storage devices. Selecting a right tool for the recovery of data is recommended to the users. One must keep in mind that the drive in which the data has to be recovered must not be written with some other data before the recovery of data. amansareen is a contributor to Mr. Hoffman's blog. The views and opinions are entirely his/her own and may not reflect Mr Hoffman's views.